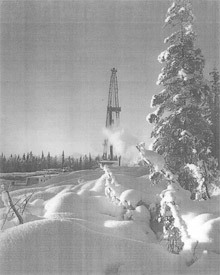 The 1957 discovery of oil at Swanson River on Alaska’s Kenai Peninsula would ensure statehood and a very successful oil industry. Photo: Anchorage Museum The two major oil producing areas are in Cook Inlet, south of Anchorage, and Prudhoe Bay adjacent to the Beaufort Sea. Modified from Alaska Div. 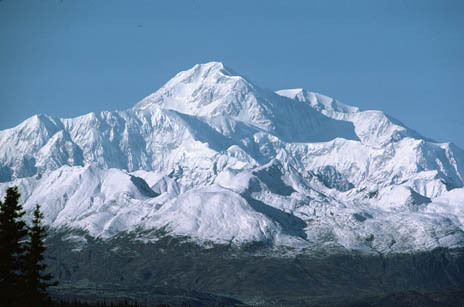 of Oil and Gas Denali, North America’s highest peak stands watch over the ‘great land’ of Alaska. Photo: Thomas Smith The discovery in Moose Range was the boost Alaska Territory woefully needed at a time when mining was down and oil companies were pulling out. This is a story of what a few men accomplished, before and after the Swanson River oil find, to secure the prominence they were confident would be achieved. Without their efforts and that first oil discovery, Alaska’s recent history could look much different. Their knowledge and insights helped to shape this great land and its oil industry. 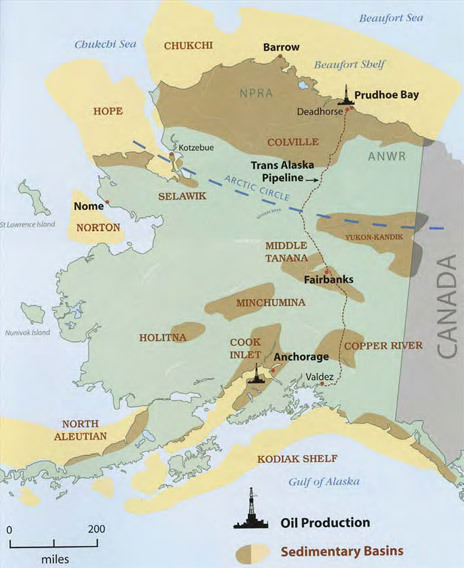 Alaska’s big hope for recognition and new prosperity eventually became oil, but until 1957, 165 consecutive unsuccessful exploratory oil wells had been drilled. The territory’s only oil field produced between 1902 and 1933 in Katalla, located along the Gulf of Alaska. 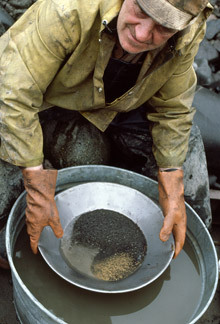 Seeps had long been found along the west side of the Cook Inlet yet drilling for that big discovery remained illusive. John (Jack) Roderick noted in his book, Crude Dreams, “Alaska radiated opportunity and adventure when I first arrived in 1954… I reveled in Alaska’s openness to newcomers and its absorption with self-determination.” At that time Phillips Petroleum had almost completed drilling its Icy Bay well on the Gulf of Alaska while several companies were filing for leases on the Kenai and Alaska peninsulas. “The little guys were competing in the oil game” around the state. By 1955, over 5 million acres (20,000 km²) of oil and leases were held. The Mineral Leasing Act of 1920 and various amendments allowed just about anyone to file for leases at 25 cents per acre and hold up to 100,000 acres (400 km²). Also by 1955, statehood advocates had been hard at work. The idea of statehood was nothing new as the first bill for Alaska statehood was introduced in 1916. New ones were introduced nearly every year thereafter. But not until the Alaska Statehood Committee was formed in 1949 and the dashing and articulate publisher of the Anchorage Daily News, Robert Atwood, was appointed to head it did the prospects for statehood look good. Yet Atwood banker, Elmer Rasmuson, and some serious Anchorage businessmen knew it might take something special, and saw oil development as a way to promote statehood. 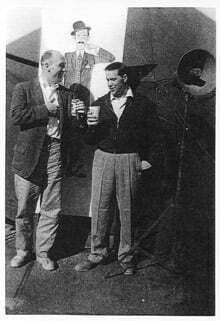 Their group, informally called ‘The Spit and Argue Club’, filed for leases on the Kenai Peninsula with the aid of Locke Jacobs, self-taught oil-leasing “man in the know”. The group tried to interest oil companies in drilling to no avail. 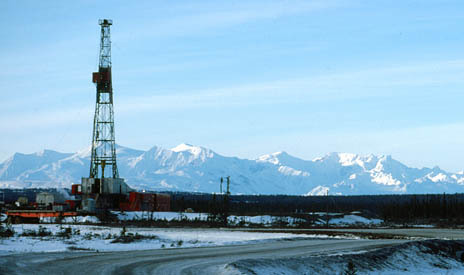 In 1954 the Richfield oil company applied to lease over 50,000 acres (200 km²) on the Kenai Peninsula over a large topographic high and worked out a deal with Jacobs’ leaseholder group. At first, a representative from the group offered to assign some of its leases at no cost to Richfield for a commitment to drill a well anywhere in Alaska within two years. Richfield did not accept the free acreage deal but would pay two dollars per acre with a five percent override for some of the acreage. About that same time Union Oil had filed for nearly 200,000 acres (800 km²) west of Richfield’s holdings. After the deal with Richfield, Jacobs worked through the night to file an additional 100,000 acres (400 km²) around Richfield’s Swanson River holdings. Gold brought more people to Alaska than the ongoing fur trade and salmon canning industries combined. Photo: Thomas Smith The first Alaskans arrived about 20,000 years ago, probably from Asia via the Bering Land Bridge, and kept going south. The first actual residents arrived about 10,000 years ago and are the ancestors of today’s native population. European settlement from Russia began with explorer Vitus Bering in 1741, when a government was established in the south-eastern town of Sitka. The name Alaska came from native Aleut word for ‘Great Land’. Alaska became a U.S. property in 1867 with the signing of a treaty with Russia. William Seward, Secretary of State under President Abraham Lincoln, negotiated the deal for $7.2 million, or about two cents per acre. He was often ridiculed about the purchase, commonly known as Seward’s Folly or Seward’s Icebox. The first Alaskan gold discovery occurred at nearly the same time as it was discovered in California, 1848. The gold fever culminated with the 1896 strike in Canada and the Klondike gold rush was on, bringing 80,000 people to the area. Alaska became a territory in 1912. With the influx of people, the government built telegraph lines, trails, roads, and finished the Alaska railroad in 1923. By the 1930s, about a third of the population of the larger towns such as Fairbanks was employed mining gold. Gold was raised from $21 to $35 an ounce in 1933 and became an even more important source of employment and income for the territory. World War II put a stop to the mining but did highlight Alaska’s strategic importance as an overland connection to the ‘lower 48’ with the building of the Alaska Canada Military Highway. Richfield sent two geologists, Ray Arnett and Bill Bishop, to check out the newly acquired lease area. They used hydrophone soundings around lakes (dynamite had been banned in the protected Moose Range) to map an anticline, using just 33 seismic test points. Bishop is said to have mapped out an anticline structure that extended from the Richfield leases onto the Anchorage leasing groups to the south. Bishop picked a drill site near the Swanson River next to a hemlock tree that is rather rare in this area. Legend has it that he kicked the ground with his boots and said “drill here”. Those boots have since been bronzed and are on display at the Anchorage Museum. The drill site was located in nearly total wilderness near the Swanson River in the Moose Range, now in the two million-acre (8,000 km²) Kenai National Wildlife Refuge. A 32 km road needed to be constructed to get into the drill site. To save surveying time and money, Bishop threw unrolling toilet paper tubes out a plane to mark the road path. The new road was punched through very quickly and drilling started in April, 1957. Richfield hit oil at a depth of 11,140 feet (3,395m) and announced the strike on July 23, sending headlines reaching to the nation’s capital. This discovery would have major implications for future statehood and the oil industry. A few weeks after the discovery, Chevron purchased a half interest in Richfield’s leases and became operator of the field. Only a year later, Union Oil would hit gas on the Kenai Peninsula and more than 100 oil companies would hold leases totaling over 18 million acres (73,000 km²) in Alaska. 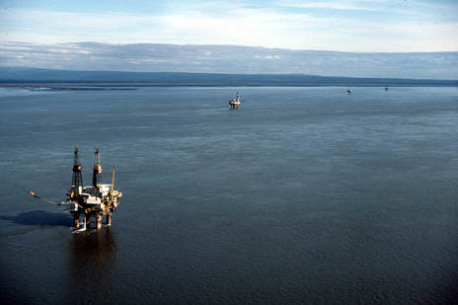 In 1959, Union Oil and Marathon would find the Kenai Gas Field, Cook Inlet’s largest field. In 1958, Tom Marshall came to Alaska following his dream to homestead in the north land. Little did Tom know he would make a critical land selection that would transform Alaska into a major oil producer. Photo courtesy of Thomas Marshall On January 3, 1959, President Eisenhower signed the official declaration making Alaska the 49th state. However, negotiations made before this date would have far reaching implications for Alaska’s prosperity and that of a budding oil industry. Since the 18th century, Congress had given new states part of the public domain land to help finance schools, hospitals, and other services. By the standards set after the Civil War, Alaska was expected to receive 30 million acres (120,000 km²). As negotiations with Congress progressed, the final bill gave Alaska 104 million acres (421,000 km²), an area about the size of California. The state would have 25 years to make its selections. Gas that was discovered across Cook Inlet from the Swanson River Field supplies much of Anchorage’s electricity. Photo: Thomas Smith Gas that was discovered across Cook Inlet from the Swanson River Field supplies much of Anchorage’s electricity. Photo: Thomas Smith Gas that was discovered across Cook Inlet from the Swanson River Field supplies much of Anchorage’s electricity. Photo: Thomas Smith While the discovery of Swanson River Field helped convince the U. S. Congress to grant statehood, it also brought an influx of new and talented people to the land. The discovery caught the eye of a young petroleum geologist living in Casper, Wyoming. He already had connections in Alaska through his grandfather who was in the Canadian Mounted Police and frequently went into the Territory. So, shortly after oil was discovered in Alaska, Thomas R. Marshall, Jr. was heading north to homestead in the Matanuska-Susitna Valley north of Anchorage. Questionnaires to aid land selections were sent to seven oil companies; four responded. They all wanted a full four million acres (16,000 km²) selected about 160 km south of the coast line, along the same latitude as the Umiat Oil Field, discovered by the Navy in 1946, in the NationalPetroleum Reserve-A (NPRA). However, Tom’s geologic experience in Wyoming offered him a very different picture of the area’s potential. The oil companies were still lobbying for the foothills acreage. The coast was riddled with lakes and rivers and the state owned all these submerged lands. This presented the BLM with a problem; they had to survey these features, a nearly impossible task. 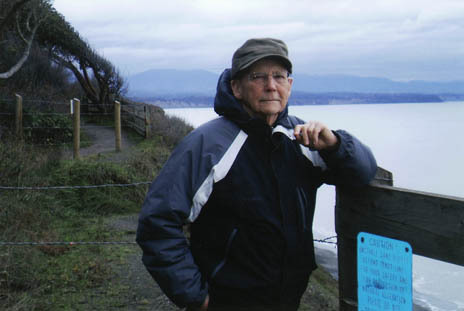 It turned out to be the break Tom needed; he argued that if this land was selected by the state, the coastal survey would not be needed. In 1964, the governor agreed to the plan and approved the selection. The rest is history. North America’s largest oil field would be discovered in 1968, in anarea that just might have been closed to oil exploration if not for being state selected. Innovative geologists Tom Marshall and Bill Bishop, oil scout Jack Roderick, landman Locke Jacobs, and businessman Robert Atwood did much more than just their jobs; they all possessed a forward looking vision that has helped transform that remote wilderness territory into a modern Alaska. Offshore development provided the region with large oil reserves here at McArthur River and at North Trading Bay. Photo: Thomas Smith Offshore development provided the region with large oil reserves here at McArthur River and at North Trading Bay. Photo: Thomas Smith Exploration of the Cook Inlet Basin state lease brought a steady string of new finds. ? The first discovery of the west side of Cook Inlet, gas at Beluga River, would be discovered in 1962. This was followed in 1963 by the first offshore oil discovery at Middle Ground Shoal. Chevron’s oil refinery began operations that same year on the Kenai Peninsula. Three offshore fields would be discovered in 1965, Granite Point, Trading Bay, and the area’s largest oil field McArthur River with estimated reserves of 1.5 Bbo. Exploration drilling would peak in 1966. Between 1964 and 1968, 14 offshore platforms were installed. The Steelhead platform would be installed in 1986 and the final was Osprey in 2000. The last commercial gas discoveries would occur in 1979 and the last major oil finds would be in 1991. Production peaked in 1970 at 82 MMbo per year. Over 1.3 Bbo have been produced from the basin. Iraq, which has been on the mass media's spotlight and international focus in recent years, has a record of oil and bitumen dating back to the earliest human civilizations more than five thousand years ago. Here we look at the emergence of Iraq's oil industry in the past century rooted in the heritage of the past millennia and fashioned by the modern geopolitics and geoscience.